Home › Patricia G. Ketsche, Ph.D., M.B.A., and E. Kathleen Adams, Ph.D.
Patricia G. Ketsche, Ph.D., M.B.A., and E. Kathleen Adams, Ph.D.
Patricia G. Ketsche, Ph.D., M.B.A., associate professor in the Institute of Health Administration at the J. Mack Robinson College of Business at Georgia State University, and E. Kathleen Adams, Ph.D., Professor in the Department of Health Policy and Management in the Rollins School of Public Health at Emory University, are currently the co-principal investigators for the HCFO study, “Incidence of Financing National Health Spending.” This study seeks to examine who actually pays for health care expenses and the distribution of these costs across the mixed public/private financing system. The researchers created an economic model to estimate how health care financing is distributed nationwide across families in different income groups, looking at what families pay for health care through private health insurance premiums and out-of-pocket expenses in addition to their contributions through the federal, state, and local tax systems. This model allows them to describe the share that families in each income level pays and how the states’ spending and tax structures affect equity within and across states. Dr. Ketsche has completed extensive research that focuses on the distribution of health insurance in the population and the effect of proposed policies on coverage. Dr. Ketsche’s prior work has examined topics such as public program utilization, enrollment trends and satisfaction, cost containment for Medicaid and CHIP, the effects of premiums on public program enrollment, and the interactions between public and private insurance. Dr. Ketsche received a Ph.D. in business administration, a M.B.A., and a M.H.A. from Georgia State University, as well as a B.S. in physical therapy from the University of Pennsylvania. In addition to her role as an associate professor at Georgia State University, Dr. Ketsche currently serves as a fellow at the Georgia Health Policy Center, conducting research to inform state health policy. Dr. Adams has more than 25 years experience conducting applied economic analyses. Her research focuses on issues related to low-income and vulnerable populations and Medicaid. Her prior work has examined topics such as prenatal smoking/risk behaviors, costs of adverse maternal/infant outcomes, pediatric health care costs related to second-hand smoke, welfare reform, Medicaid family planning waivers, and primary care case management among CHIP and Medicaid children. 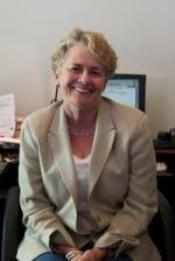 Dr. Adams received a Ph.D. in economics from the University of Colorado and a M.S. in economics and a B.A. from Florida State University. In addition to teaching graduate classes at the Rollins School of Public Health, Dr. Adams serves as a health economist in the Centers for Disease Control and Prevention’s (CDC) Division of Reproductive Health (DRH). Dr. Adams is currently the principal investigator of another HCFO grant, “Reducing Prenatal Smoking: What Role Can State Policies Play,” that is examining the impact of state policies on reducing maternal smoking. Previously, Dr. Adams was the principal investigator for the HCFO grant, “Insurance Coverage, Use of Prenatal Care, and the Financing of Birth Outcomes in Nine States Pre and Post Welfare Reform,” that examined how the Personal Responsibility and Work Opportunity Reconciliation Act’s (PRWORA) decoupling of cash assistance from Medicaid affected insurance status and access to and utilization of prenatal care for low income pregnant and childbearing women.